The Detroit Handbell Ensemble showcases these scenes from around Michigan as they perform "What a Wonderful World." 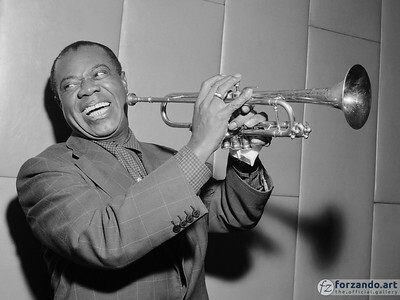 American jazz musician Louis Armstrong as photographed in 1953 by the World-Telegram newspaper. 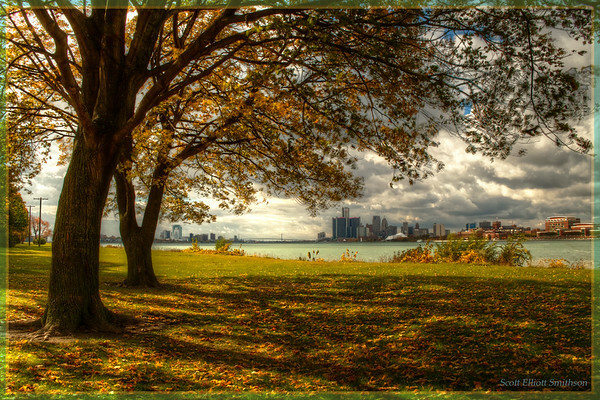 The Detroit skyline gleams across the river from Belle Isle, Michigan. CC photo by Scott Smithson. 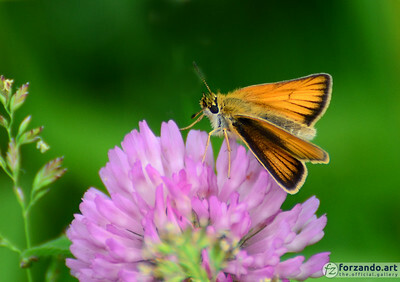 A Delaware skipper feeds upon a Michigan clover near Oxford, Michigan. CC photo by Rodney Campbell. 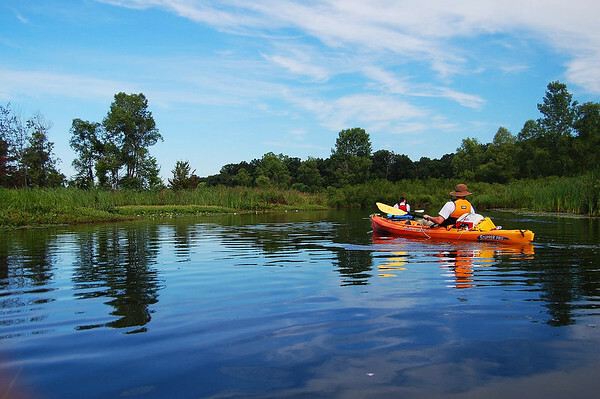 A kayaker paddles down the smooth waters of the Huron River in Michigan. CC photo by 'DonkerDink'. 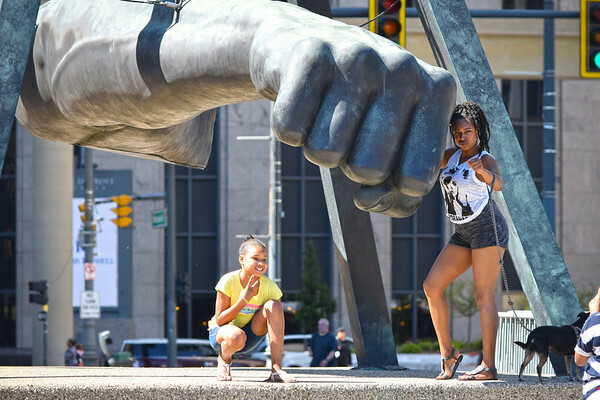 Passers-by strike a pose with the famous Joe Louis Fist Sculpture at Hart Plaza in Detroit, Michigan. CC photo by Matt Bach for the Michigan Municipal League. 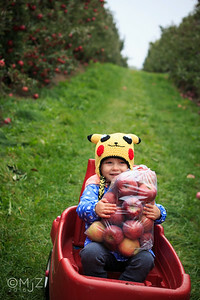 A child hugs her bag of freshly-picked Michigan apples at Schwallier's Country Basket in Sparta, Michigan. CC photo by Michael J. Mandeville. 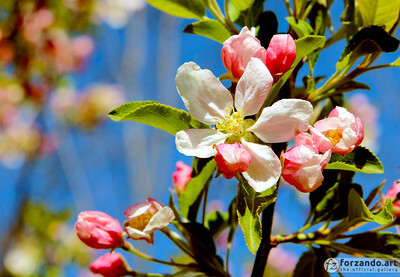 Apple blossoms, the state flower of Michigan, bloom at County Farm Park in Ann Arbor. CC photo by Barbara Eckstein. 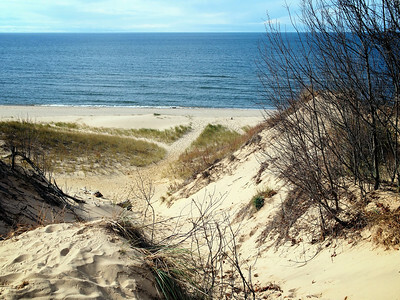 Footprints mar the sandy dunes along Lake Michigan at Saugatuck Dunes State Park in Holland, Michigan. CC photo by Jack Amick. 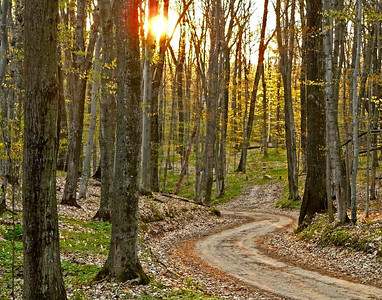 The sun glints through the trees along Shauger Hill Road near Empire, Michigan. CC photo by Jack Amick. For Michiganders, trips between the penninsulas are punctuated by a ride over the Mackinac Bridge. A prominent symbol of the state at the convergence of Lakes Michigan and Huron, it appears on some license plates. 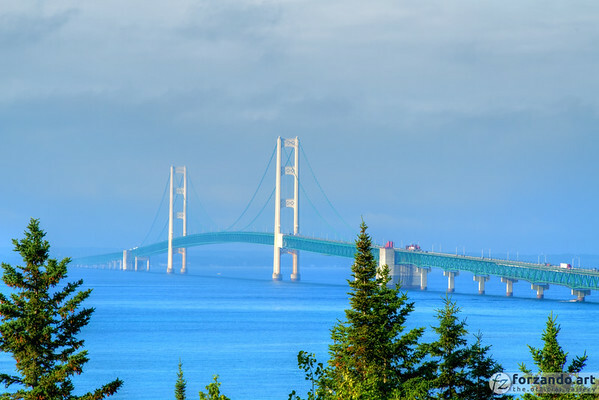 Here, the bridge is viewed from the north at Straight State Park in St. Ignace, Michigan. CC photo by Scott Smithson. 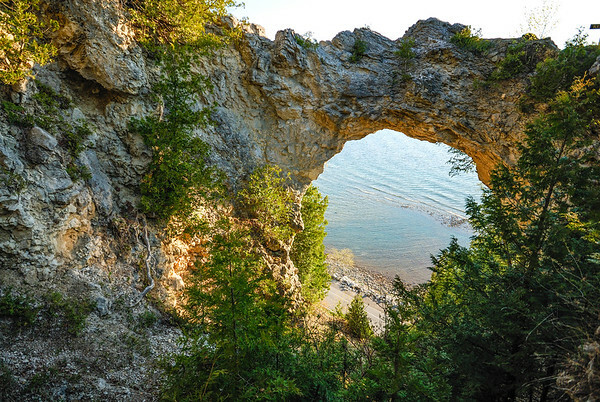 Arch Rock, found above the eastern shore of Michigan's Mackinac Island, is a natural limestone arch formed as glaciers receeded from the region. This is a rare type of formation for the Great Lakes region, as limestone breccia is not ideal for the formation of natural bridges. Native Americans held the rock as a place of power and legend. CC photo by Cathy Haglund. 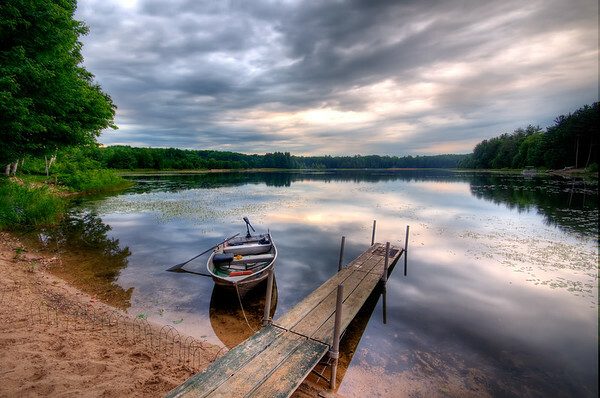 A small fishing boat is docked in a pond of clouds near Ostego, Michigan. CC photo by Cathy Haglund. 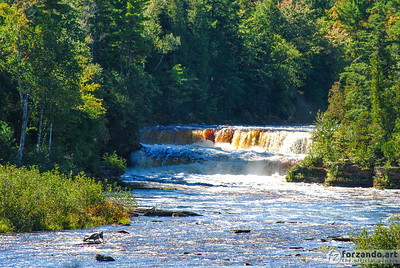 River water thunders over the lower portion of Tahquamenon Falls near Chippewa, Michigan. CC photo by Middie Graham. 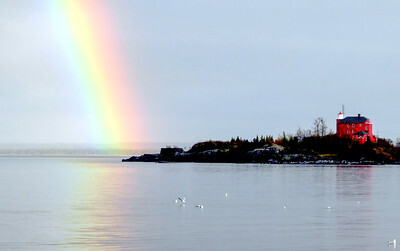 A rainbow descends upon the lighthouse at Picnic Rocks in Marquette, Michigan. CC photo by Ann Fisher. 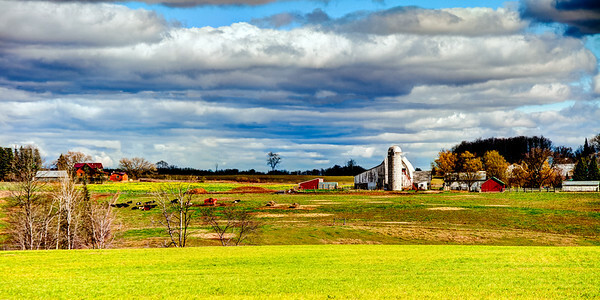 Cattle relax in a farm field in Amish country near Mio, Michigan. CC photo by George Thomas. 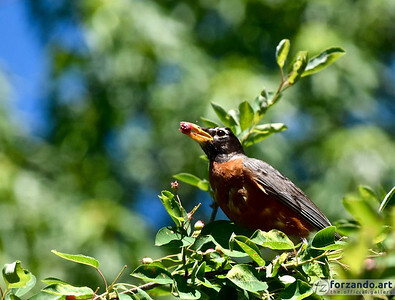 A robin plucks an amelanchier berry for her babies in Ann Arbor, Michigan. CC photo by Deb Nystrom. A wide view of the lighthouse at Big Sable Point in Ludington State Park, Michigan. CC photo by Tom Gill. 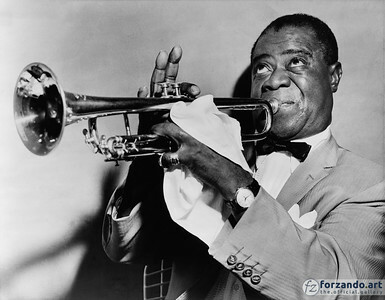 American jazz musician Louis Armstrong appears in Amsterdam on October 29, 1955. 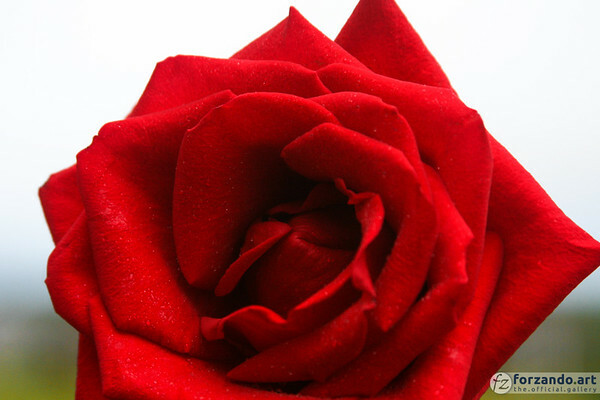 Photo by Herbert Behrens.